Today, more than ever, there is a need for a standardised 12 volt power source on motorcycles for the connection of electrical gadgets and charging the bikes battery. We tend to overlook just how many modern items either require to be recharged(e.g cell phones, iPods, GPS units, satellite phones etc ) or require a direct 12V power source to run them (e.g. air compressors, heated clothing etc). 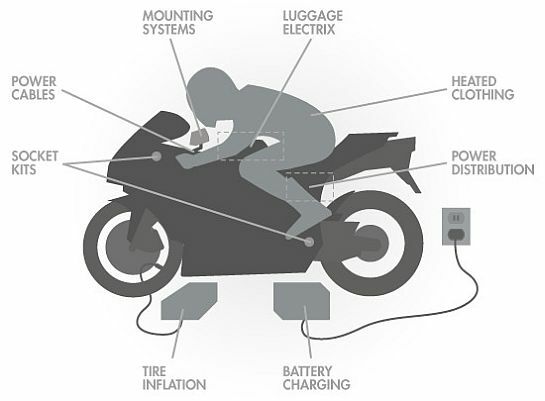 The very nature of motorcycling would suggest that often a rider, by choice, does not always have access to an AC wall socket to recharge or operate these various peripherals. 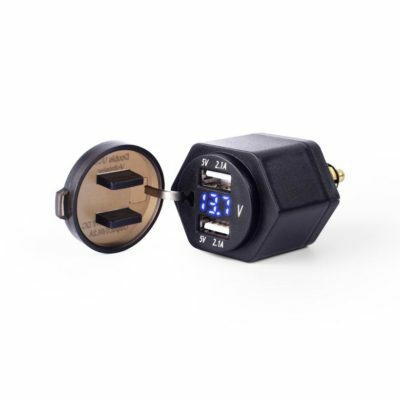 A bi-directional power point that can utilize the motor cycles battery/charging system (one that can deliver current, as well as take charging current) is therefore necessary to take full advantage of products such as battery chargers, heated vests, cell phones, MP3 players, GPS units, camcorders and so on. First and foremost a power point that is connected directly to the battery is required. Traditionally most power points have been of the cigarette connector type. 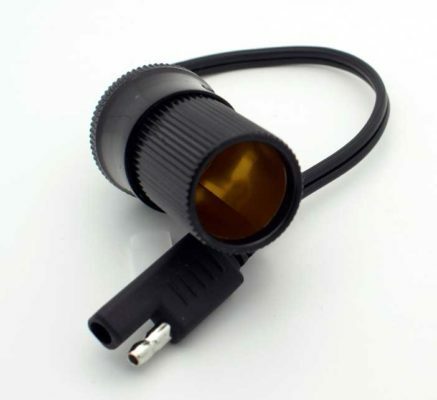 These have gained wide use as virtually every car has a cigarette lighter, resulting in automotive accessories in the main being sold with cigarette-type connectors. Connectors of this nature often fit poorly and make unreliable connections, particularly on the move as they are susceptible to vibration. In our opinion this type of connector is only adequate when the bike is stationary. 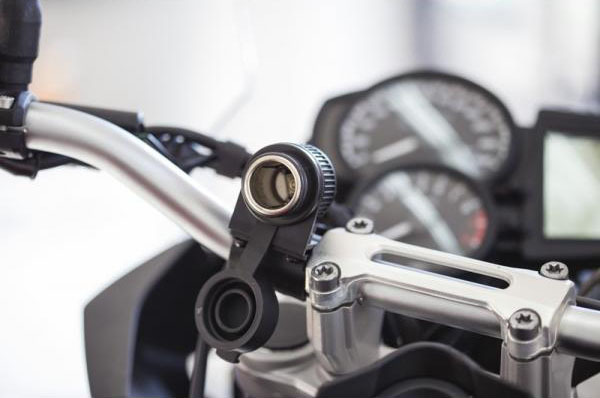 These fittings have rapidly gained popularity over the past few years and are fitted as a standard item to many new BMW motorcycles. 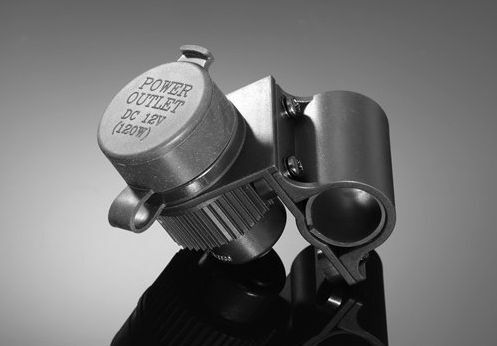 A Norm outlet/Hella outlet /BMW outlet connector is built to one standard dimension, is very rugged and, most importantly, ensures a tight, reliable connection. Furthermore it can handle a higher current load than a cigarette connector. 1. With the integrated bracket built into the cigarette or dual USB connector. 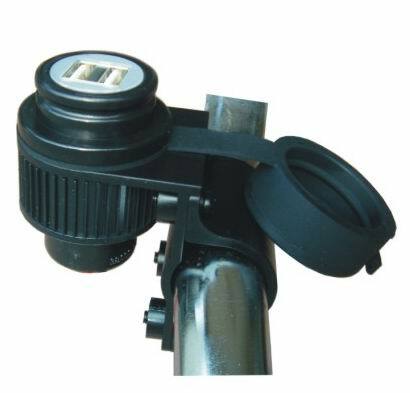 This format allows you not only to mount the connector on your handlebar but also to any other part of your bikes frame. 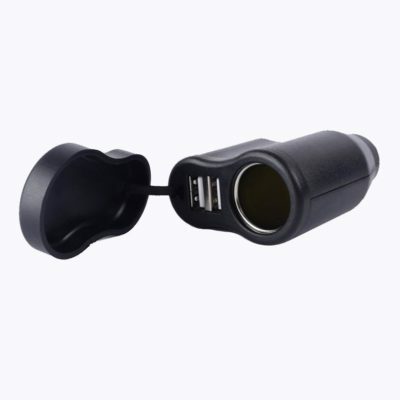 SAE 12V Weatherproof Motorcycle Accessory Socket which connects directly to your battery (also suitable for BMW Canbus systems). The SAE Connector to battery enables the connection of various SAE connectors. Simply unplug one SAE component and plug in another. 1. 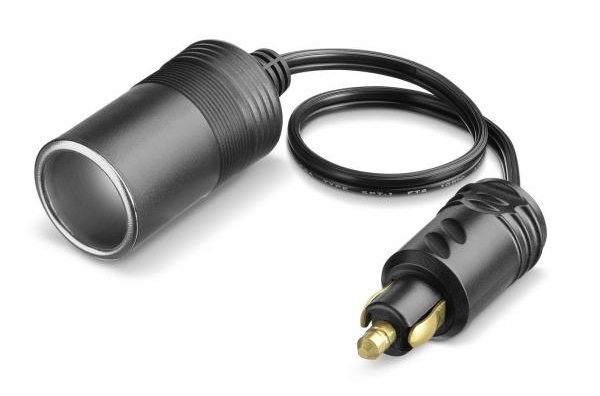 A cigarette lighter connector to power items within your tank bag, while riding or to trickle charge your battery if your bike stands for long periods. 2. 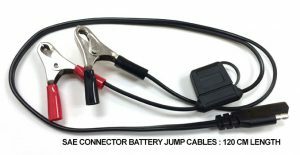 A jumper cable to jump start your bike from another vehicle/bike without having to remove the bikes panels or seat.